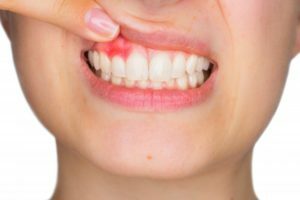 Why Do I Have Swollen Gums in Orange Park? If you have ever experienced swollen gums, you know that they can feel sensitive and may be red as well. It can be a little unnerving if you don’t know what’s going on. Why are your gums swollen? Does it mean that something is wrong? What can you do to make your gums healthy again? Get the answers to all your questions about your swollen gums in Orange Park here with this helpful information from your dentist. Comments Off on Why Do I Have Swollen Gums in Orange Park? Have Tooth Fillings in Orange Park Changed Over Time? Did you know that around 92% of American adults have at least one filling in a permanent tooth? Tooth fillings are a very common dental restoration that fills cavities and protects your teeth from pain and decay. 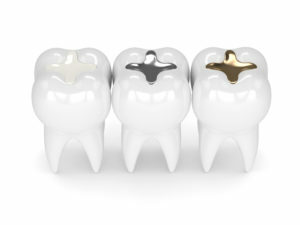 During the 1800’s, amalgam (metal) with mercury fillings became the standard restoration. Thankfully, modern dentistry has brought us a variety of safer and more aesthetically pleasing options. Keep reading to learn how tooth fillings in Orange Park have changed over time. Comments Off on Have Tooth Fillings in Orange Park Changed Over Time? 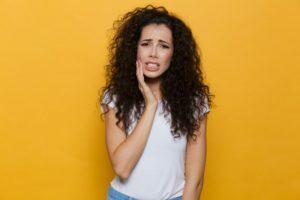 Have you ever faced a dental emergency? If so, you might have been at a loss as to what to do. Preparing for such urgent circumstances ahead of time can enable you to take action that will protect your teeth, reduce your pain, and help you get on the road to recovery as quickly as possible. Hopefully, this dental emergency FAQ in Orange Park will arm you with the knowledge you need to handle your next oral health crisis in the correct way. Your smile is one of your most powerful social assets. A genuine grin lights up your face and lets others know that you’re happy to see them. It can even transcend cultural and linguistic barriers. A beautiful, healthy set of teeth can also make you seem younger and more successful. But what if your smile falls short of its true potential? You may want to visit your cosmetic dentist to ask about a smile makeover. Here are some common reasons why many people choose to upgrade the way their teeth look. Got a Cracked Porcelain Veneer in Orange Park? Call the Dentist! Porcelain veneers are arguably the best option in dentistry for hiding imperfections in teeth. While porcelain is an incredibly durable material that can last for many years with proper care, it doesn’t mean it’s indestructible. Dentists need to fix damaged veneers for a variety of reasons, whether it’s from using teeth as a tool or from forced trauma. 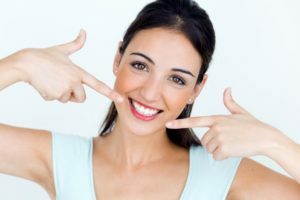 If you’re dealing with a cracked porcelain veneer in Orange Park, it’s time that you visited a dentist who can tell you your options. Comments Off on Got a Cracked Porcelain Veneer in Orange Park? Call the Dentist! 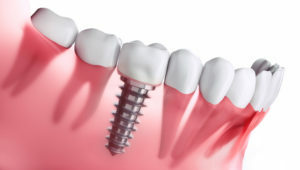 For patients who have lost teeth due to disease or an accident, dental implants are a common and effective way to fill in the gaps in their smile. In fact, more than 5 million dental implants are placed each year in the United States, according to the American Dental Association. While dental implants have a very high success rate – approximately 98%! – that success relies in part on taking good care of implants after they are placed. 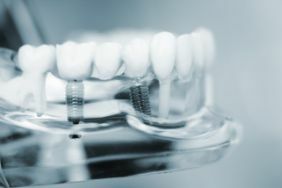 If you are considering artificial tooth replacement or recently got dental implants in Orange Park, here is everything you need to know about caring for the newest piece of your smile. It’s one thing when your teeth get stained from red wine or coffee and you wash them off by brushing or mixing water in your mouth. However, what do you do when you brush, floss, and use a whitening mouth rinse, only to realize that your stains aren’t coming off? According to dentists, tooth discoloration can occur in many different ways and become a real problem if not addressed early. By pursuing teeth whitening in Orange Park, you can get your tooth discoloration solved once and for all! You may think that your current dentist can meet all your cosmetic dental needs, but do you really know for sure? Have you ever considered if he’s even qualified to provide you effective cosmetic dentistry? 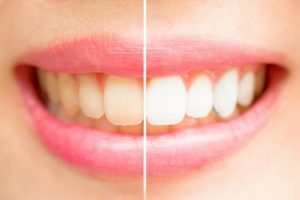 The next time you want a whiter smile or fix cosmetic imperfections, consider asking your cosmetic dentist in Orange Park about these key factors. They can make a big difference in the outcome of your treatment, and effectively your new smile. Dentist in Orange Park, Why Are My Gums Bleeding? Hard to believe, but research shows that up to 80 percent of adults in America have gum disease. Furthermore, the majority of this population probably doesn’t even know that they have this chronic bacterial infection. But with those kinds of odds, it’s important to know the signs of gum disease and how it can be prevented and treated. Read on to learn what a dentist in Orange Park has to say. Comments Off on Dentist in Orange Park, Why Are My Gums Bleeding?